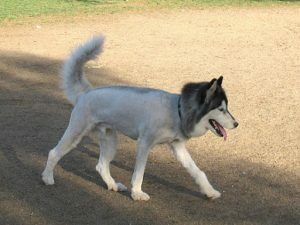 Every year we get multiple request for dogs to be “shaved down to make them cooler.” Double coated breeds which are in high demand for being shaved are Siberian Husky, Golden Retriever, Pyrenees, Newfoundlands, Australian shepherds and some smaller dogs such as Pomeranian and Shetland sheepdogs. I hope we can do a little education to help with this common misconception. The fact is these shave down dogs are at a higher risk for most thing, including heat stroke. Most people start with “my dog is panting all the time.” That is a good thing since panting actually cools your pet off. According to webmd panting helps dogs cool off when they’re hot or engaged in vigorous exercise. Dogs take between ten and thirty breaths a minute, depending on their size. Get to know what your dog’s everyday breathing and panting looks like so you’ll more quickly notice suspicious changes. Dogs do have sweat glands in their feet and you should check your dogs feet to make sure you don’t have too much hair preventing a good way to release some sweat. This is a secondary to panting but is another good way to check that dogs are cooling off. Dog have fur for a reason and we try to hard to humanize them, thinking if we are cooler with shorter hair so will our pets. That is simply not the case. Air flow is such a significant part of cooling dogs off. We do want to make sure that dogs coat has a clear path, in other words not an overly thick coat or a coat that is matted and dirty. Those types will not allow good airflow through to the skin and can not self-regulate their internal temperature. Once hair has been shaved off it will not come back in the same. 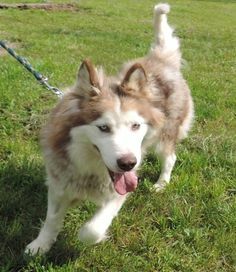 This husky has both long and short coat now due to being shaved. 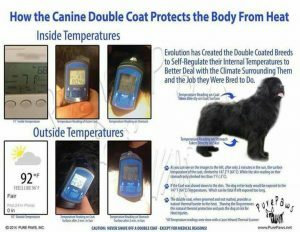 Dogs with this type of coat have an undercoat which will grow back in thicker and make it much harder for the dog to adjust to extreme temperature changes. 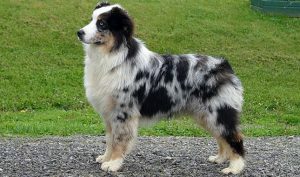 They can also grow in patchy where the outer-coat come in straight and faster than the undercoat producing a very odd looking dog a cycle of shaving that now can not be prevented. Dogs will stay cooler with air flowing through their coat. 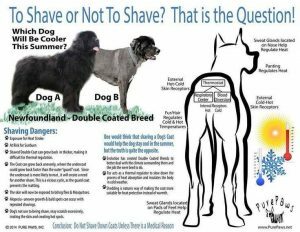 Once you shave a dog down the sun’s rays have nowhere to go but straight down on the dog creating an issue for sunburns and extremely high body temperatures which can lead to heatstroke. A dog with a clean, brushed coat will actually be cooler creating an environment which is safer overall for your pet. There are some circumstances which shaving is the only option left. When this occurs please be aware that these dogs need to be inside and only allowed outside for short periods of time. Without their coat they are essentially helpless and rely completely on you to be their protector. We love all dogs just want to make sure everyone has all the facts to keep pets safe this summer. Please remember these dogs have a thick undercoat and need regular bushing and grooming to maintain their coat. Make sure you make it clear what you want when you leave your dog with a groomer and make sure they in return are well educated about these facts.